Weather Alert – 2:14pm September 19, 2017 – Interlake Reserves Tribal Council Inc. Conditions are favourable for the development of very dangerous thunderstorms that may be capable of producing damaging wind gusts and flooding rain. A low pressure system now in Saskatchewan will slowly track through southern Manitoba later today. This weather system will spread rain through southern Manitoba today and tonight with widespread rainfall amounts of 20 to 30 mm. There is the likelihood that intense embedded thunderstorms will accompany this rain. These severe thunderstorms may bring rainfall totals over 50 mm as well as locally strong wind gusts. 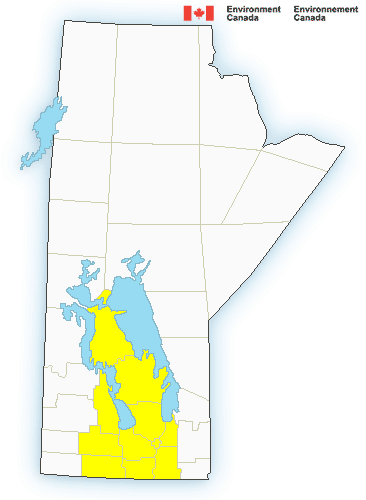 The potential for these intense rainfalls will begin in the Westman area late this afternoon and then move through the Red River Valley and interlake areas this evening. These severe thunderstorms may persist past midnight as they continue towards the Ontario boundary. Very strong wind gusts can damage buildings, down trees and blow large vehicles off the road. Heavy downpours are likely to cause flash floods and water pooling on roads. Lightning kills and injures Canadians every year. Remember, when thunder roars, go indoors! 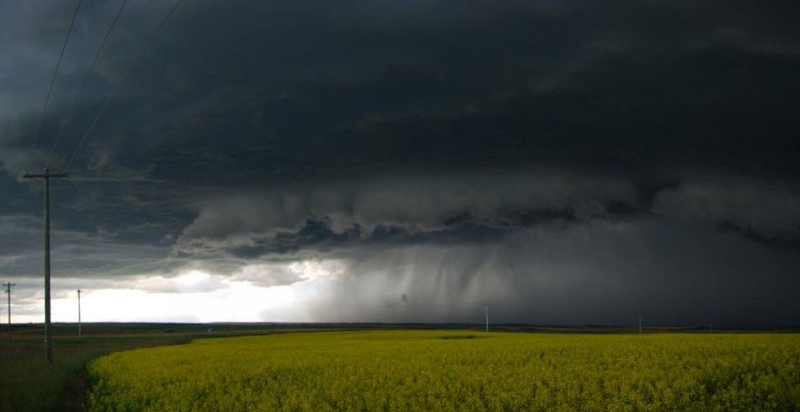 Severe thunderstorm watches are issued when atmospheric conditions are favourable for the development of thunderstorms that could produce one or more of the following: large hail, damaging winds, torrential rainfall.